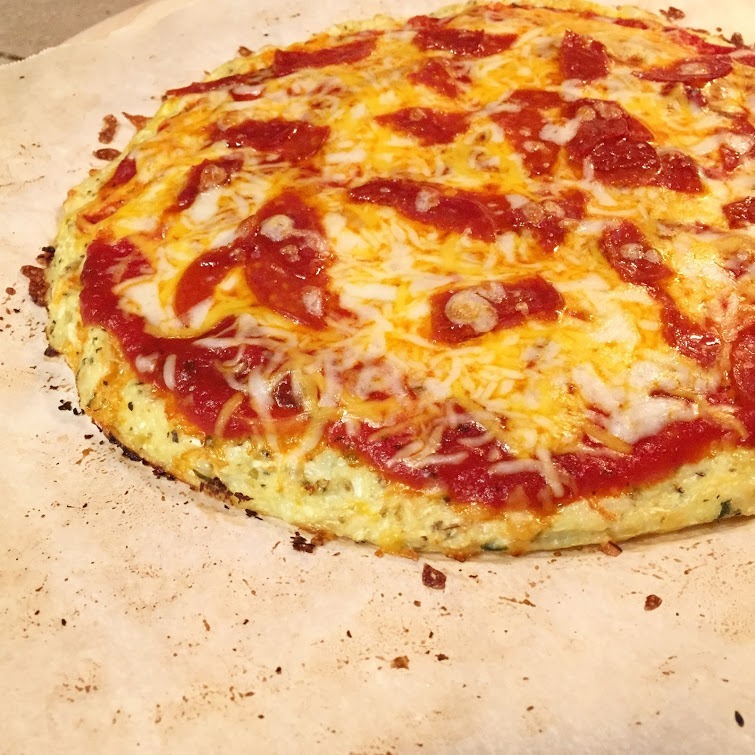 I first tried cauliflower pizza about 5 years ago. I wanted to try it, because I was curious and I wanted to experiment. I wasn’t impressed by it but always thought I should keep trying until I find the right recipe for me. Well, I’ve found that recipe now. It took a few trial and errors, and I think I’ve perfected it. The key is to make sure the crust is the perfect thickness. Not too thick that it becomes soggy, but not too thin either that you aren’t able to pick-up a slice. I took these pictures the first time I made this particular recipe, and I’ve since made a few it times after with the crust THINNER than what you see pictured here. 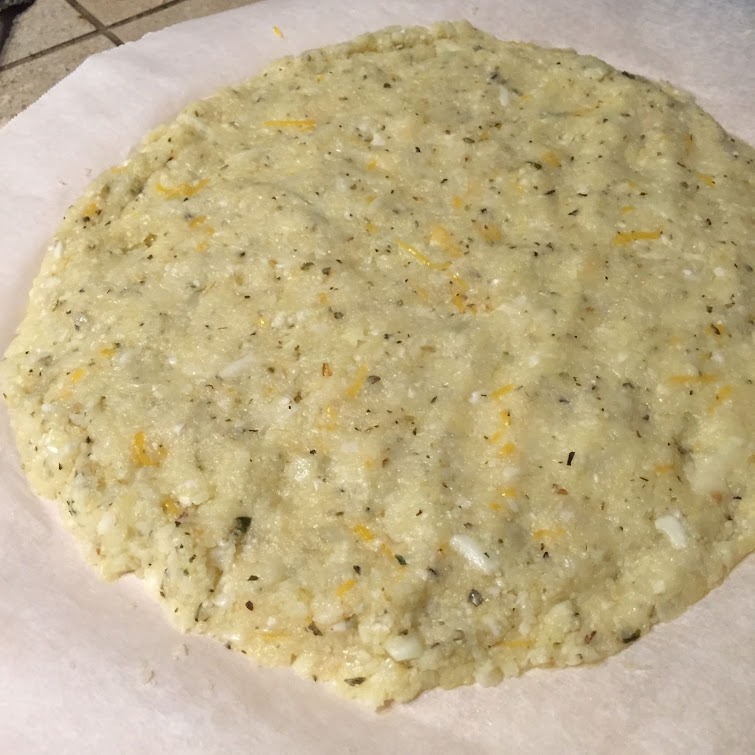 The flavor is great from the cheese and herbs combined. Wash and thoroughly dry a small head of cauliflower. Don’t get one the size of your head unless you are planning on making 2 pizzas. Cut off the florets. Pulse in your food processor for about 30 seconds, until you get powdery snow like cauliflower. 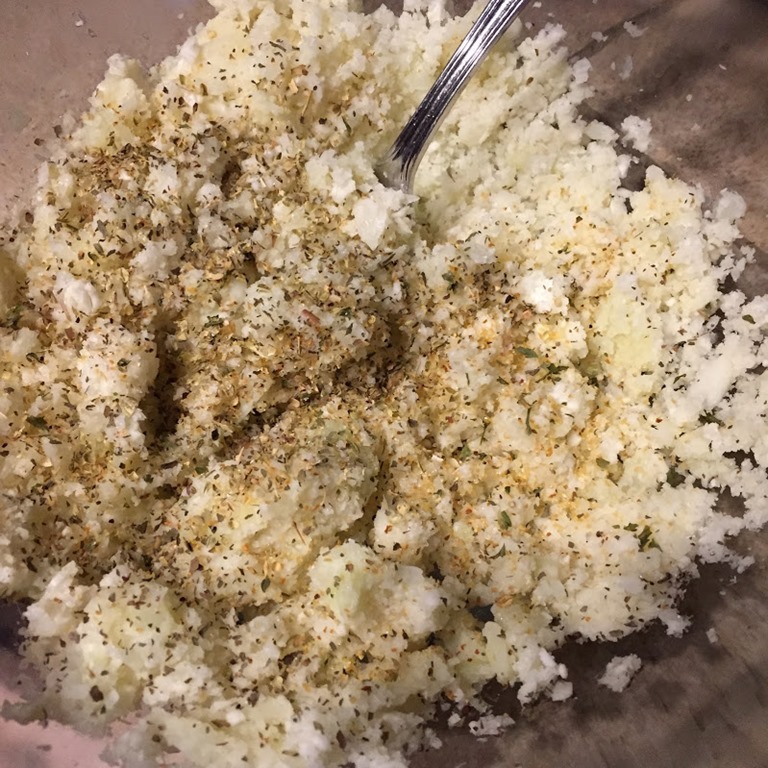 You should end up with 2 to 3 cups cauliflower “snow”. Place the cauliflower in a microwave safe bowl and cover. Cook for 4 minutes. Dump cooked cauliflower onto a clean tea towel and allow to cool for a bit before attempting the next step. Dumped squeezed cauliflower into a bowl. Now add Parmesan cheese, mozzarella cheese, kosher salt, dried basil, dried oregano, garlic powder and a dash of red pepper if you want. Add 1 tablespoon almond meal (if you’re using it). Now add the egg and mix away. Let it cool for about 2 minutes. 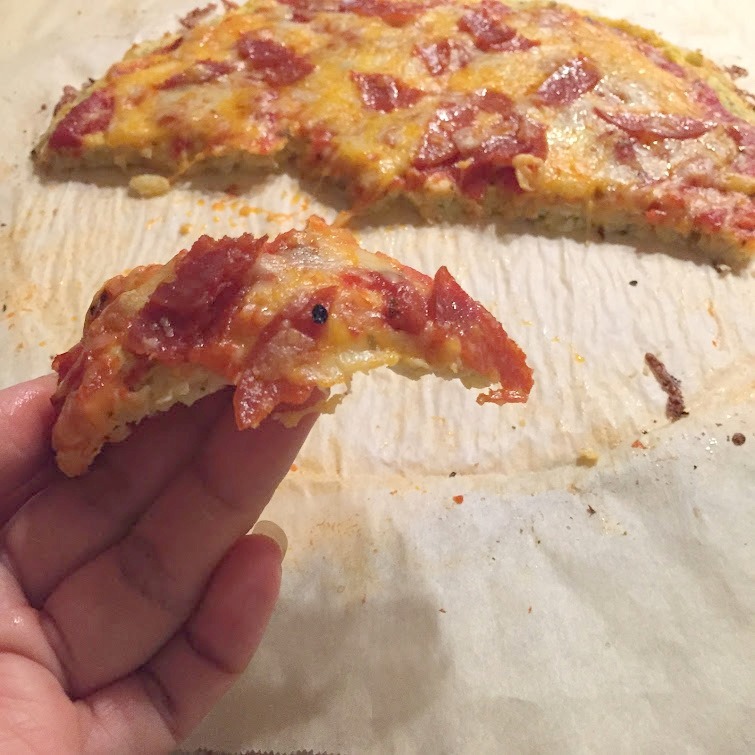 Then using a pizza cutter and a spatula, serve up your delicious grain-free cauliflower crust pizza! P.S. I didn’t like the texture of the leftovers, so I suggest, only make enough so there aren’t any leftovers. Make the crust thinner than the picture below, because it gets puffier in the oven.